My Family Online is the easiest and most complete genealogical service you will ever use. All you need is one simple call to get started. We’ll set up our signature visit with you, the HomeVisit™. We’ll visit you in person or by telephone and discuss where you are with your genealogy, where you want to go and what needs to happen next. 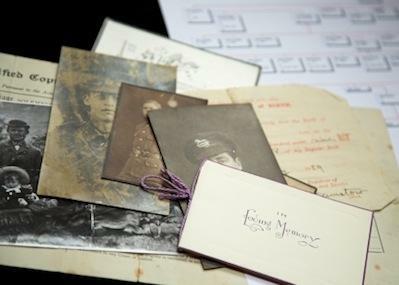 Our HomeVisit™ is geared to size up the scope of your genealogical needs. First we create a master plan detailing your involvement and outlining the services we will provide for you. Depending on your wants, needs and abilities we can do a part or even all of your genealogy for you. This includes everything from gathering, organizing and scanning to writing, publishing and research. You will have peace of mind knowing all your genealogy is online, backed-up and complete. Schedule your HomeVisit™ now. Call us at (800) 285-1888.